Every maker has a story. Be a part of Almasfashion Design and Home Decorating's story by placing an order, leaving a review, and seeing your review appear here. 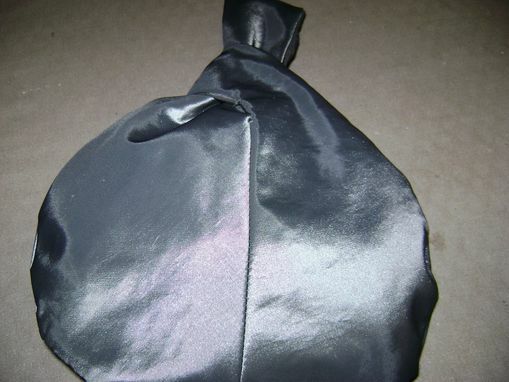 This is an evening bag which I made from polyester with light batting and contrasting lining, this bag was made for a client that wanted something different from her friends at the party, she just wanted something to carry her phone and makeup for the evening, it is called the bracelet bag because it is worn aroung the wrist so you don't have to put it down, it just gracefully hang on the wrist.